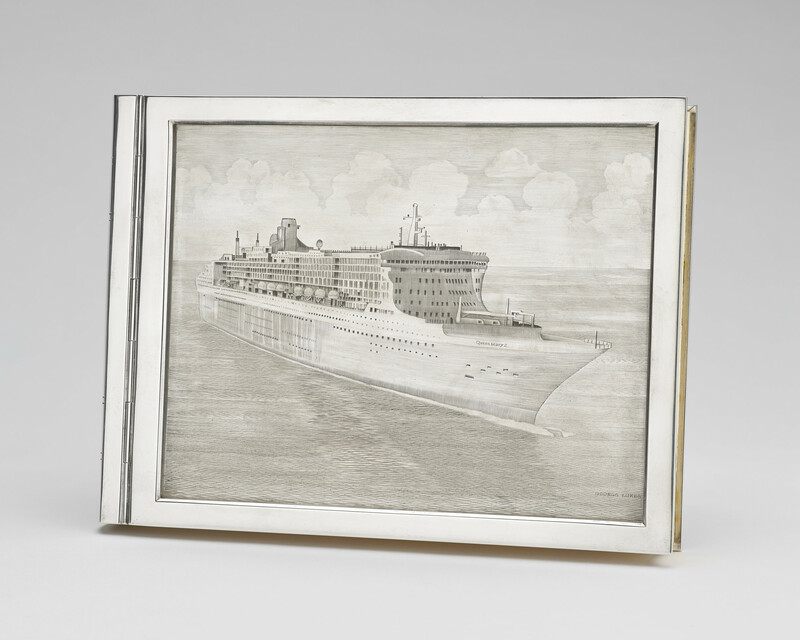 A silver case in the form of an album with the Queen Mary II sailing on an open sea. Sits in a black leatherette case with white satin/ red velvet lining. Hinged with clasps to shut.